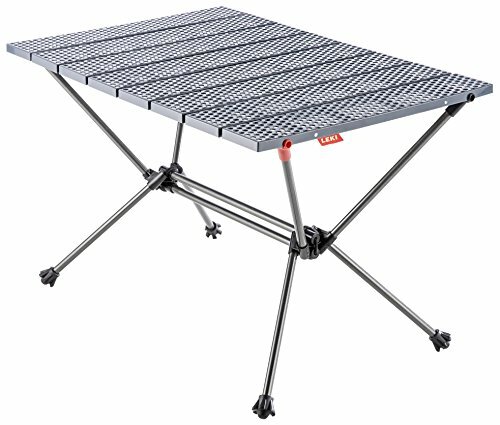 Despite packing down small and weighing well under 2 pounds, the collapsible LEKI Table XS Lite can support up to 110 pounds making it suitable for camping or even backpacking! The table utilizes ultra-lightweight aluminum poles for structural support. An accordion-style plastic table top snaps into place and provides a surprisingly stable base. If you have any questions about this product by Leki, contact us by completing and submitting the form below. If you are looking for a specif part number, please include it with your message.